We’ve come so far, we’ve got so far to go. 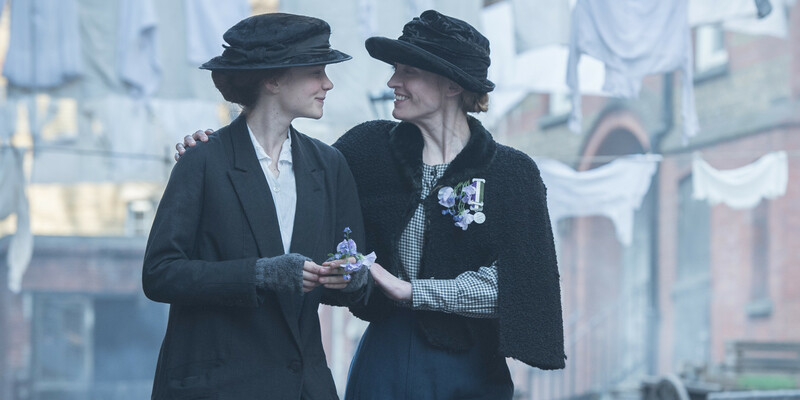 Suffragette acts as both a reminder of the progress made in the fight for gender equality, while remaining relevant in 2015, a year in which the gender pay gap, domestic violence, and objectification of women still continue to be significant issues. And that’s in the developed countries. 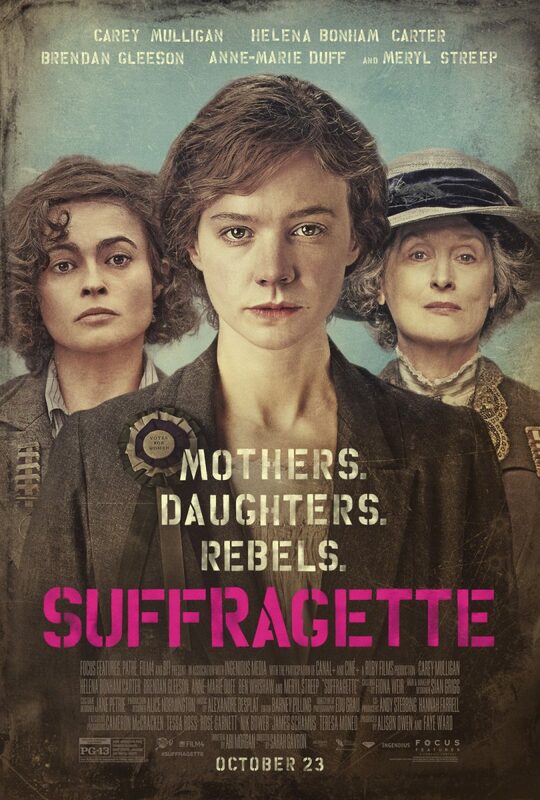 Hark back over a hundred years to when women had to fight for the vote, and Suffragette provides a beacon of hope that change can happen if you fight hard enough for it. Unfortunately this message gets lost in a film that loses sight of the bigger picture. 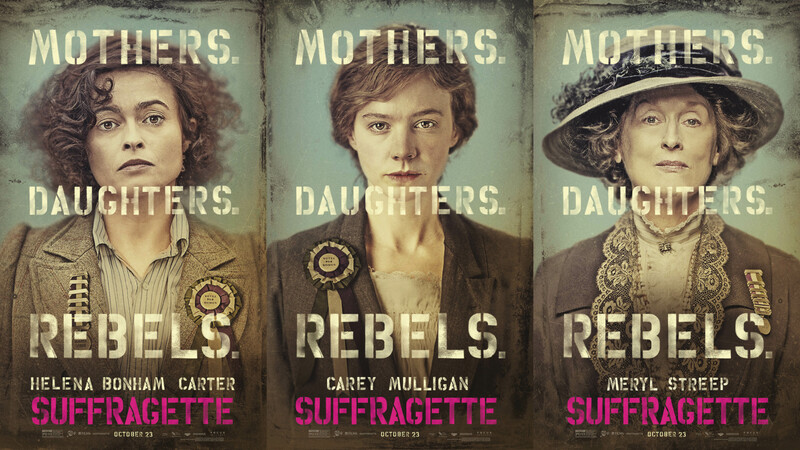 Set during the women’s suffrage movement in Great Britain, Suffragette hones in on the fight by one group of women. 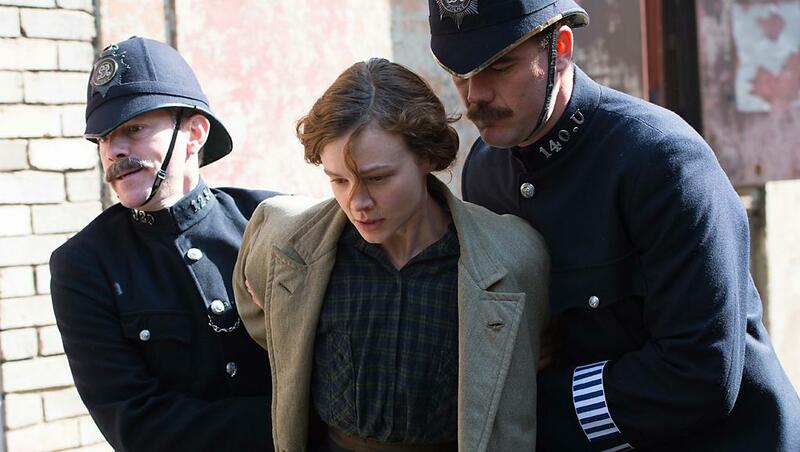 Our protagonist, Maud Watts (Carey Mulligan), is a twenty-four year old woman who finds herself swept up in the fight for women’s rights during a period of rioting, lending her voice to the cause. She initially makes a point of clarifying she is not a “suffragette” (ahem – note the obvious contemporary comparison), but soon becomes a firm advocate after becoming more aware of the political landscape. Beaten, jailed, and force-fed, she loses almost everything except her fighting spirit. Carey Mulligan delivers a tour-de-force performance. Surely one of the best young actresses of today, the passion burns deep within her eyes as we see her transform from mousey washerwoman to determined activist. 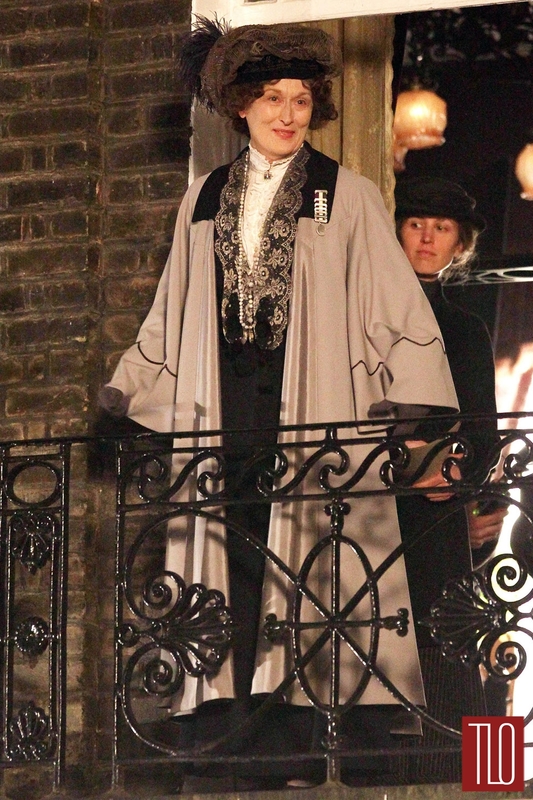 She is flanked by fellow big names Helena Bonham Carter (in a rare understated performance) and Meryl Streep, who pops up ever so briefly as Emmeline Pankhurst, leader of the suffrage movement. Special mention goes to young Adam Michael Dodd as Maud’s son, George, who is absolutely devastating in one of the film’s most heart-breaking scenes. Mothers’ rights weren’t a thing back then. 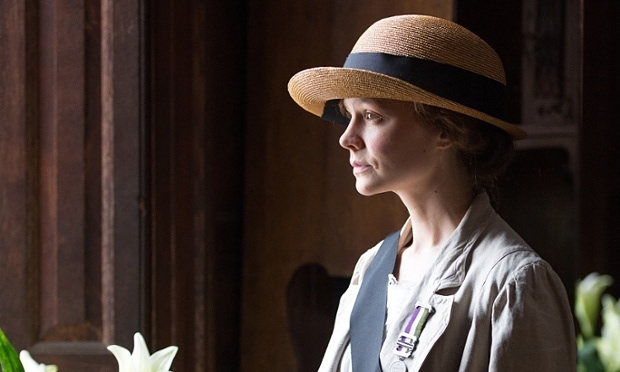 While Suffragette highlights the struggle of women in acquiring the vote, its narrow focus is a let-down. For a film that is concerned with such a pivotal moment in history, it seems ludicrous to include a protagonist who is a fictional character, and to barely touch the wider events of the time. One important real-life character, Emily Wilding Dixon (Natalie Press) turns up half-way through, but her role ends up too small to truly resonate. Queen Meryl stars as the legendary Emmeline Pankhurst, but despite what the marketing may suggest, she’s only on screen for mere minutes. 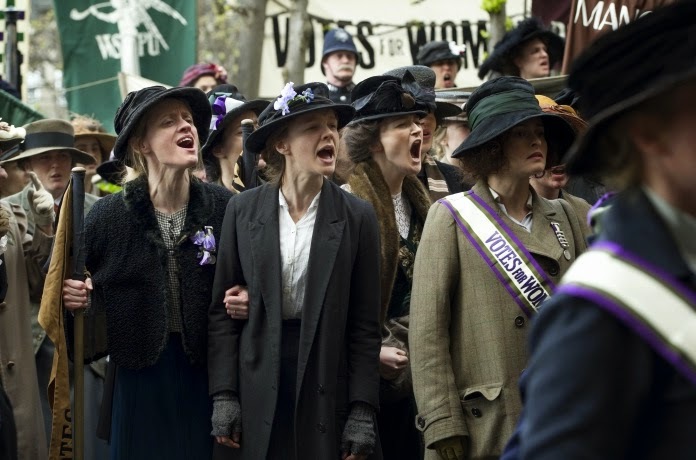 Given that the suffrage movement has barely been portrayed on film before (with the exception of the excitable Mrs Banks from Mary Poppins) a more comprehensive look at broader events would have done more to educate viewers. In its defense, the choice to focus on a fictional protagonist means the filmmakers are able to present a symbolic figure who is likely to appeal to the everywoman. Maud isn’t educated, she doesn’t have a history of activism, and she proves that anyone can make a difference if they are willing to stand up for what is right. Unfortunately, her experiences – while significant – are often boring to watch, with screenwriter Abi Morgan contributing yet another dull screenplay following last year’s insufferable The Invisible Woman. Sarah Gavron directs only her second feature film and her inexperience shows. While it’s such a welcome sight to see women credited in director, screenwriting, and producing roles, it’s a shame they didn’t pull off the victory they might have hoped for. What’s most disappointing is that we don’t even get to see the accomplishments of the suffragettes. Instead, after a notable – and tragic – event, we are told of the eventual achievements in the closing credits, which is followed by a scrolling list of countries with the year women were awarded voting rights (1893 for New Zealand, 2015 for Saudi Arabia). But maybe that was the point – the fight continues. Great actors, great actings, awesome storytelling, cinematography at its best, direction was amazing and the music was so pleasant, but the method of dealing was a bit gruesome, and sometimes brutal. I thought the terrorism is a new word, but this movie gives a different perspective and meaning to that.